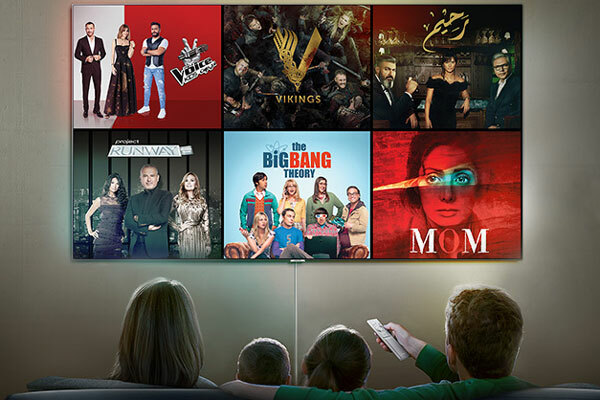 Samsung Electronics Middle East and North Africa (Mena) is venturing into the world of video-on-demand (VOD) services with the launch of its new 'SmartPack', exclusively for the Arabic content streaming segment. The technology giant has partnered with regional VOD providors MBC Shahid, Starz Play and Weyyak to create a special viewing experience for the Mena audience. The service will stream A class Arabic content as well as dubbed or subtitled foreign content. “Samsung is at the forefront of leading innovation and technology for the TV industry, and this offer extends a warm welcome to new and existing customers to embrace the freedom of choice, heightened convenience, and unfathomed entertainment experience that Samsung’s SmartPack content platform delivers," said Sungwan Myung, president of Samsung Electronics Mena. Samsung customers can unlock SmartPack’s entertainment features when they purchase new QLED series TVs, Premium UHD and UHD TVs.